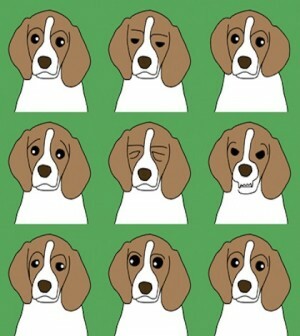 Reading Your Pet’s Emotions, Dog Body Language, Do you know your dog? Interestingly, wolves and other wild dogs rolled in mud and other foul substances to disguise their scent from prey. While the original intention has somewhat diminished from its natural purpose, domestic dogs still tend to do it. Questions like this are quite common for most pet owners, but when put to the test, many owners don’t have all the answers as to why their dogs behave the way they do. So, you already know your dog’s happy when he wags his tail, or angry when he bares his teeth, but how well do you truly know your dog’s inner emotions? Dogs have feelings, but unfortunately, they can’t use words to convey them. As a responsible pet owner, it’s best to understand your dog’s body language to truly relate to her emotions. By understanding your dog’s emotions, you can better care for your pet’s needs, as well as promote a positive pet relationship for your entire family. Here are some tips to help you get started. While most owners understand the signs of a happy dog, it’s beneficial to point these cues out to all members of the family, as well as visitors to the home, who may not be as pet savvy as you are. Imagine your atrociously sized Saint Bernard flailing in to greet your guest only to send them backwards to the floor from fright. The more you know about your pet, the more you can educate others. It’s certainly not healthy to have stress in your life, nor is it healthy for your dog. Try learning to observe stress cues to ensure your pet’s healthy and happy lifestyle. Sometimes dogs find the need to protect themselves or their families, and other times dogs feel threatened by a person, object or other animal that comes near. In cases like these, understanding specific cues will help you to protect your dog from doing something that’s unnecessary. For instance, dogs have been known to fear bite, chase vehicles or jump fences in reaction to what causes them defensiveness. As a responsible pet owner, it’s vital to respond to your dog’s anger cues to avoid negative occurrences. The condition known as “Separation Anxiety” is a common concern for many pets, especially those who have experienced hardship at any point in their lives. Dogs are also known to become anxious before earthquakes, volcanic eruptions, human epileptic seizures and heart attacks. Take the time to understand why your pet may be feeling anxious as he could be a life-saver. If you believe your dog is suffering from Separation Anxiety seek veterinary advice immediately. Under-stimulating your pet can be detrimental to him and your home. Like humans, dogs can develop psychological issues and depression. Perhaps a simple change of routine will do the trick, but don’t be surprised if veterinary advice is needed to help maintain your pet’s behaviors. As you may have guessed, such behavior is completely unacceptable, and allowing your pet to do so may cause him to believe he has a higher rank in the family packing order. You, and other family members, must remain as dominant leaders to your pet. Although it may seem comical to see your dog trying to hump your seven-year old son, realistically it’s instituting an outlook within your dog which will be unpleasant for everyone in the long run. You can find more information about dog body language through internet searches or a visit to your local library. Most veterinarians will also have information and resources to offer you. Be a responsible pet owner by learning to evaluate and understand your dog’s body language and emotional needs. You and your pet will inevitably be happier and healthier.